We’re passionate about creating the best holidays in the whole wide world and going that extra mile to make sure you get exactly what you want, the way you want it. We’re known for our award-winning service, so call us or pop in and our Personal Travel Experts will provide first-hand recommendations to start creating your perfect holiday at a great value price. 25yrs experience of providing Amazing Holiday Experiences is just one of the many reason why customers keep coming back to Excelle Travel. When you trust us with your holiday arrangements all you will need to do is pack the cases! We will take very good care of every other detail providing you with the smooth stress free holiday that you deserve. We are Independent Travel Agents who provide financial security, professional and 100% impartial advice. Alison Wood Owner & Managing Director of Excelle Travel Ltd. Owner & Managing Director of Excelle Travel Ltd.
Alison started her love affair with travel when she spent time as a Travel Rep working for ILG in Spain where she spent her formative years looking after Holidaymakers from landing to leaving. On her return to the UK Alison knew that there was only one place for her and that was in the travel industry and she took a sales position with then Picfords Travel in Leeds which eventually became Going Places. 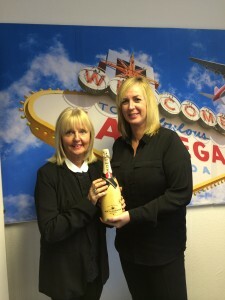 Alison won numerous sales awards including top selling agent in the Going Places Group. 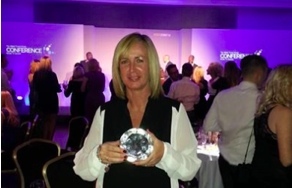 Alison moved her career forward eventually managing her own store and again the awards and accolades started to flow becoming one of the top selling shops in the Group and Top Shop North of England. When Thomas Cook took over Going Places Alison was asked to run two stores whilst the business restructured. Alison was presented with one of their brand new show case stores for all her efforts again winning many more sales awards along the way. Following yet another restructure Alison decided that it was time for her to take her love of travel and providing dream holidays for her customers to another level and set up her own business and Excelle Travel Ltd was born. Now in its third year and going from strength to strength Excelle Travel became the winners of the Best Newcomer Award at the Global Travel Awards in 2014 following this up by winning The Best Travel Agency UK North at the Global Travel Awards 2015.